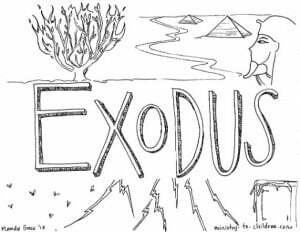 Use this free printable coloring page to introduce children to the biblical book of Exodus. 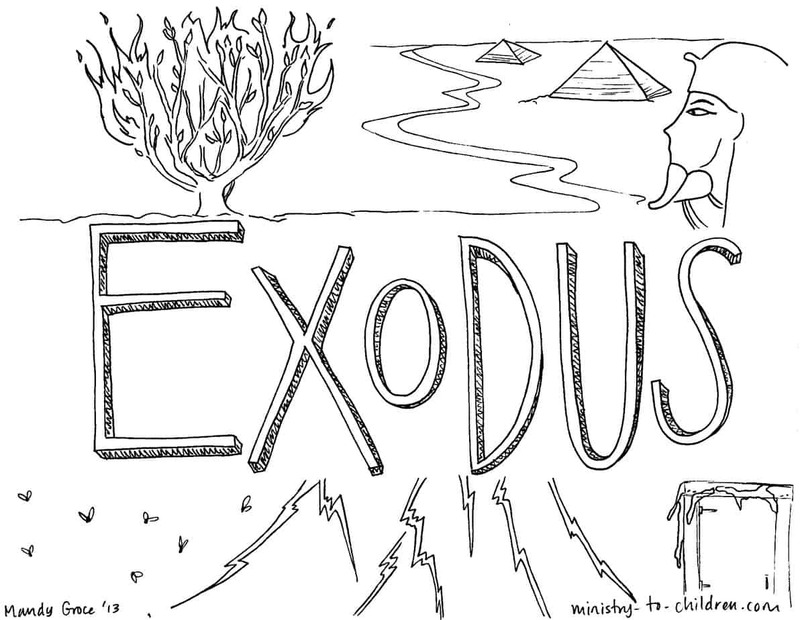 This is a continuation of our series for each book in the Bible (it will take many months to complete). We will add a series index one we have several books online. For now you can follow our progress on this page.